Here we present to you a creative cardboard tube packaging box with size for 60ml vape essential oil. The very special attraction for such packaging tube box is its conception enlightened by coca cola bottle, which will certainly catch customers’ eyes at the first place. Made by 200g cardboard for the main body and 68g double chrome paper for the surface decoration, it makes a great balance between solidity, esthetic effect and cost-saving feature. The pattern is realized by full color 3D printing, which ensures the quality of printing that matches the value of content inside. You can be sure to get a lot of curious customers by such creative design with quality fabrication. 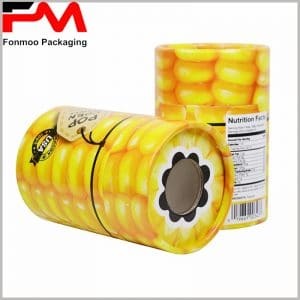 Fabricant exclusively for tube packaging box as we are, you can count on our experience and competence for providing needed tube packaging box. Just tell us what you need and let us do the rest of work and provide ideal creative essential oil cardboard tube packaging box you need.